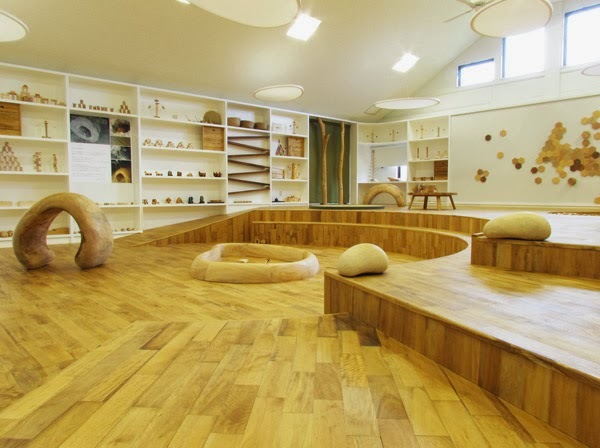 On November 2, 2013, a very small art museum debuted in Hentona of Kunigami Village. This is no ordinary museum, however. Here, you can play with the artwork. It is the Yanbaru Forest Toy Museum and the artwork, of course, are the toys...all made from natural wood. The theme...introducing nature using a language that all children can understand; the language of 'play'. All the toys are made of wood from trees found here in Japan. 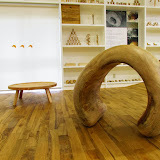 Since the museum is in Okinawa however, some toys are composed of wood from the Ryukyu Pine, trees native to the Okinawa islands. (1)(2)(3) The Ryukyu Pine is also Okinawa's prefectural tree, thereby making the pine very special. Hence, the material used for these toys only come from damaged trees, such as those destroyed during typhoons. (1,2,4) The museum is quite small, only occupying about 144 square meters (1600 square feet), and perhaps for good reason; any larger, you may find yourself out breath as you try to keep up with your children bouncing from one end to the other. To get a video preview inside the museum, click here. The museum is sponsored and organized by the Good Toy Association, a non-profit organization based in Mainland, Japan. They direct other natural toy museums throughout country. Their website is www.goodtoy.org (click here for the sublink to the Okinawan museum). Sai On Matsu, a Link to the Past. In Japanese, the Ryukyu Pine is pronounced as Ryukyu Matsu; matsu (松) meaning pine. Some Okinawans, however, may use the term shima matsu (island pine) to describe this type of tree. There is another name that is seldom used these days. It is the term Sai On Matsu (蔡温松). (5) Sai On is actually a name belonging to a very famous political figure and scholar (1682-1763) during the reign of King Sho Kei (1713-1751). (6) In fact, he was one of the members belonging to the Council of Three (Sanshinkan, 三司官) that served as regents for the royal crown. (7) Sai On made many contributions with academic and scholarly writings ranging from personal conduct and behavior to policies governing land management. His writings and studies on forestry conservation would form the bulk of an 8 volume publication, Rinsei Hassho, (Eight Writings on Forestry Management) which was published posthumously in 1885, almost a century later. (6)(i) To many, he is considered the father of Okinawa's forestry conservation movement. The museum in many ways is a continuation of Sai On's work. The term Sai On Matsu does not seem to describe just one pine tree, but a group of trees planted in a methodical or densely populated fashion; for example, trees planted along side a major road or on a tiny pocket of land such as a small forest. 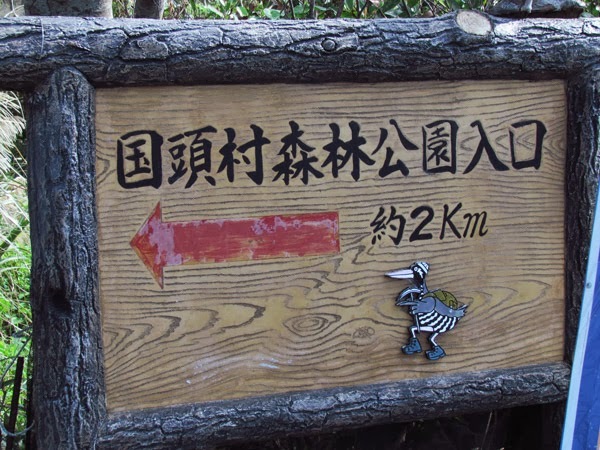 (ii) In Hedo of Kunigami Village, near the Tomb of King Gihon, there is a forest area named the Sai On Pine Tree Preservation Park, a name which gives tribute to the highly acclaimed scholar. The Kunigami Forest Park. The Yanbaru Forest Toy Museum is part of the Kunigami Forest Park. 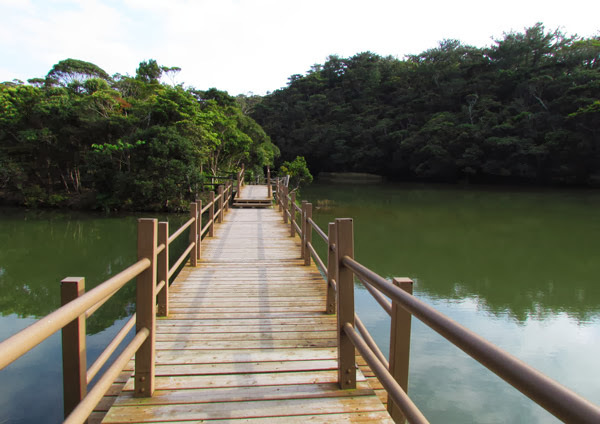 There you will find a network of trails and view points that highlight the beauty of the Kunigami forest. Recommendations (Please Read Before You Go!). Because the toy museum is rather small (144 square meters), you may not want to make this your primary destination if you live 2 hours away. If you are however, in the neighborhood and looking for a 30 minute timeout with the kids or plan on staying at the Okuma Recreational Facility then this may be a good option for you. Please avoid if your children are sick or have a cold. Entrance Fee. Free till April 2014. Prices have not been determine yet. 6. Sai On reference. Ryukyu: Bibliographical Guide to Okinawan Studies, Dr. Shunzo Sakamaki, University Hawaii Press 1963 Pg 49.
ii. 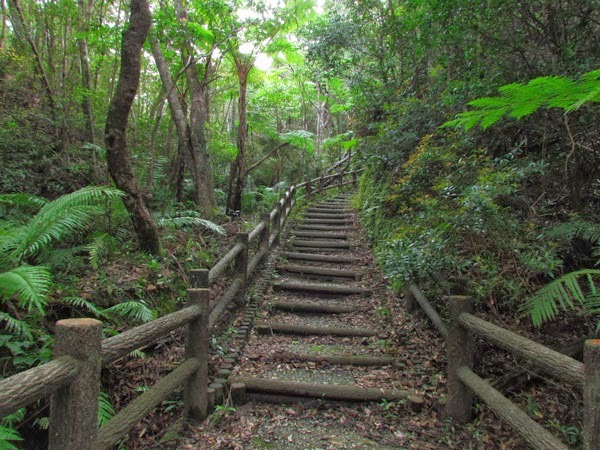 A Okinawan view of the word forest may be different of that of a western viewpoint. Mui is the Okinwan word for forest and it could be a small pocket of densely populated trees and not necessarily acres and acres of land. Directions. Take Highway 58 north into Kunigami Village. 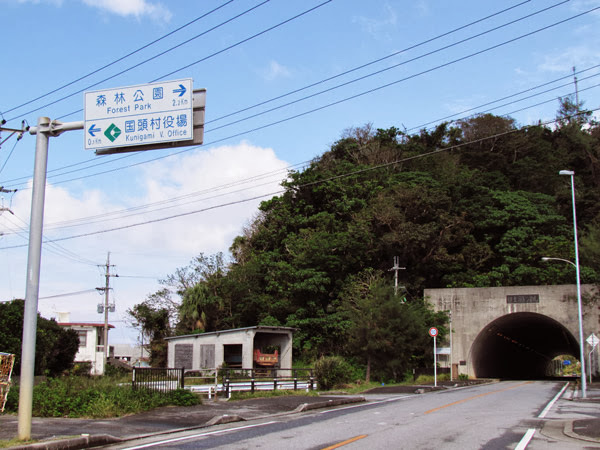 You will continue on Highway 58 passing the turn-off that takes you to Hiji Falls. Look for a highway sign that says Forest Park just before you reach the Hentona Tunnel. There you will make a right turn (if heading north on Highway 58). As soon as you make the right turn immediately look for a wooden sign directing you to the Kunigami Forest Park. 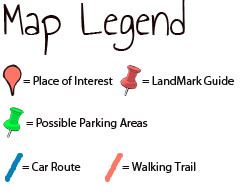 At the sign, make a left and continue to follow that road directly in the forest park. LandMark images have been added to the map.